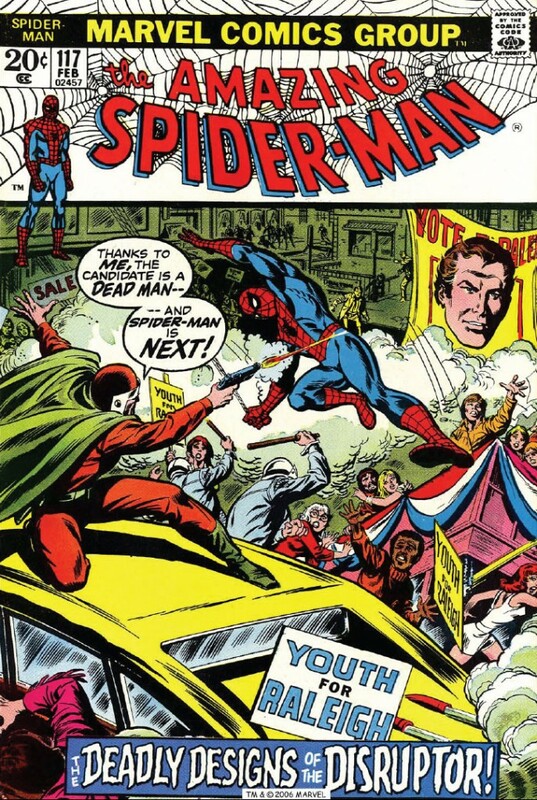 The on-sale date of that issue is November 7 1972. To put that in context, on your way to find that comic your eye would have passed across The Demon issue #5, Mister Miracle #12, and lots of other fun stuff. Even Little Lulu and Tubby in Hawaii! Funny that we started at such different times. One of my indelible childhood memories involves being in first grade in Fall 1968 and drawing a group portrait of the Avengers, including Captain America, the Black Panther, Giant Man and the Wasp (both drawn in what I hoped were correct proportions relative to the rest of the group), Hawkeye, and the only just introduced new member, the Vision. I’d been reading comics for nearly a year at that point, and I was already completely obsessed with them to the exclusion of nearly everything else. My mission was inspired by conversations at school regarding the Spider-man show, and I probably only had a quarter in hand. I may have noticed the Action Comics cover. I’d watched the Marvel Super-Heroes back in 1966, or perhaps some reruns, with Thor (as well as the non-Marvel Mighty Hercules, I suppose) inspiring my reading all the D’Aulaire mythology books in my grade school’s library. But no comics. One of my earliest reads was a coverless Legion of Super Heroes at the barber shop. The girls were taking over (Looks like it was May 1968’s Adventure 368). Seemed scary to this only-boy-in -the-nuclear-family, and only-boy-of-five-first-cousins.